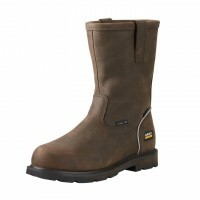 Pull-on safety rigger boot with steel toe cap and midsole protection. Covers to approximately third of the way up the leg. 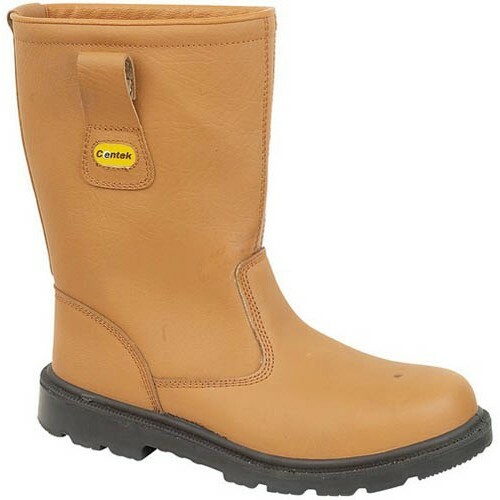 The tan upper is water resistant. 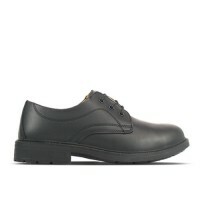 The Rubber/PU sole is lightweight and hardwearing. 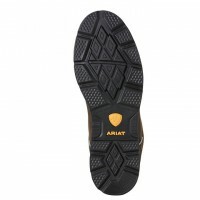 It has an energy absorbing heel and is antistatic. Also available lined (FS240).